As Rehana Fathima tried to reach the Sabarimala shrine in Kerala on Friday, carrying on her head the offerings for Lord Ayyappa, like all devotees and guarded by hundreds of policemen, there was trouble for her back home in Kochi. 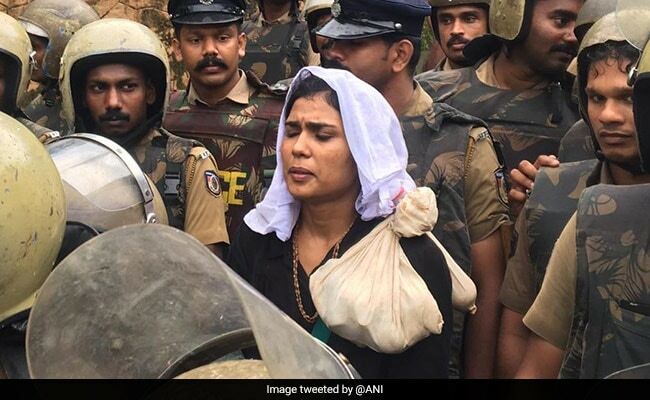 Ms Fathima's home was vandalised by men angry with her for trying to "defy" Sabarimala's centuries-old ban on women of menstrual age, or between 10 and 50 years; the Supreme Court last month ended the ban in a landmark ruling. 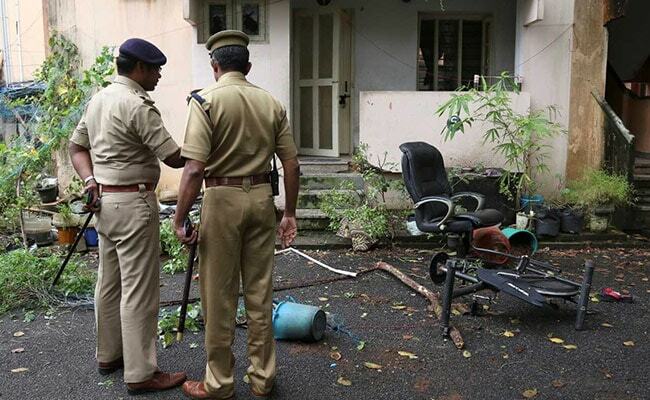 The police arrived at Ms Fathima's house after being alerted by neighbours. "We came here after hearing that her home was damaged. 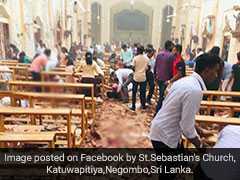 We don't know if there was anyone inside," said a police official. She works with state-run telecom company BSNL and lives with her partner, who had accompanied her to Sabarimala Temple. "There is no separate law for activists," said her partner, a news producer with a local channel. "She is not an activist and she the right to pray," he said. Rehana Fathima was forced to turn back after nearly two hours of waiting for protesters to allow her and a woman journalist to complete the last few metres to the temple of Lord Ayyappa. The police told the two women that the protests were escalating, and the temple priests had threatened to shut down Sabarimala. "I don't know what happened to my children. My life is also in danger. But the police have said that they will provide protection. That is why I am going back," she said. Around 30 employees and the chief priest of the Sabarimala shrine sat down at the 18 steps leading to the inner chamber and sang Ayyappa hymns after they heard that the two women were about to reach the shrine. The 31-year-old was upset at the Devaswom minister's comment that "both women who tried to go to Sabarimala today were activists". "Tell me, how does one be a devotee. You tell me that first and then I will tell you if I'm a devotee or not." She claimed that it is people, not "devotees", who are disrupting peace at the shrine. BSNL confirmed that Ms Fathima was on their staff Ernakulam. "Outside BSNL premises, Ms Fathima alone shall be fully responsible for her actions, in her own personal capacity, outside normal business hours," said the company, dissociating itself from the row.